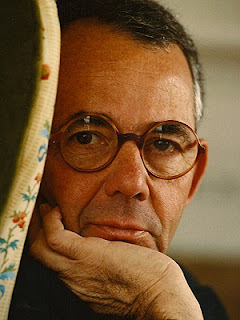 Joseph Epstein’s “The James Cult” in the October 2012 The New Criterion is a terrific essay. He calls himself a Jacobite, a wonderful locution in and of itself and then goes on both laud and damn Michael Gorra’s Portrait of a Novel: Henry James and the Making of an American Masterpiece. Epstein has always been a pundit in the best sense of the word, a pithy observer whose aphoristic style is peppered with dense erudition. Here all that is at work. He says “the Jamesian sentence resembles a hawk, circling, circling, circling before plunging downward to strike off a penetrating observation or startling apercu. As subordinate clause piles upon subordinate clause…one occasionally forgets that the sentence under investigation has a subject and predicate. And yet, James’s style…did exactly what he wanted it to do, which was to capture consciousness in all its complexity.” You can read the Edels and Gorras but witness how beautifully and simply Epstein gets to the essence of his subject. Epstein then uses his obvious inurement in James to refute Gorra’s championing of what he terms "the Henry James Homosexual Project (HJHP)." “Chekhov claimed that ‘medicine is my lawful wife and literature is my mistress',” Epstein writes. “For James literature was wife and mistress both. Marriage was not for him. Nor were dalliances, homo- or heterosexual…James would have considered it an insult to his imagination to be told that he could only understand the power and dignity of renunciation because he had himself practiced it.” Epstein may be practicing some dubious psychology of his own in his arguing that artistic production and sexual desire are mutually exclusive. It’s an idea that’s not particularly vindicated by any of our modern Vasaris. But three cheers for leaving James alone. Artistic personalities are not sauces and they don’t profit from the kind of reduction that Michael Gorra amongst others appears to practice.